Games that can be played with only one finger are favored for their inherently having extremely undemanding controls. At the same time, they’re often dismissed for seemingly having extremely easy gameplay. But as evidenced by games such as the newly released Drop Not, not all one-touch games can be easily played and deservedly shrugged off in one go. 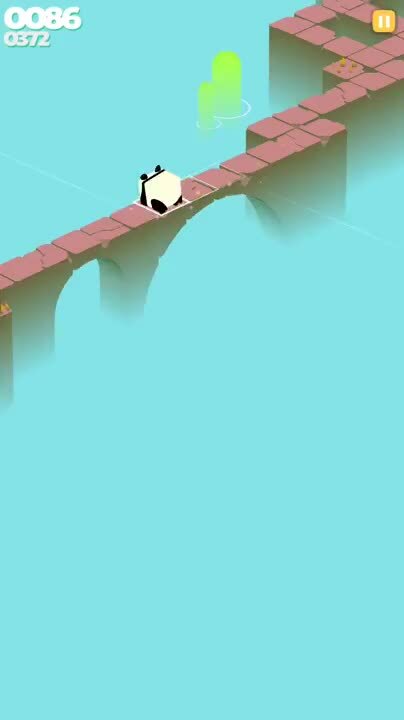 Tap to turn, beat the puzzles. 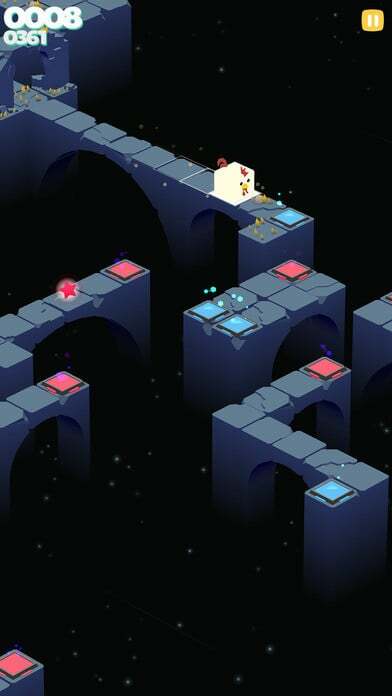 Drop Not is touted by its developer, Oddrok, as a reaction-based arcade puzzle tapper. 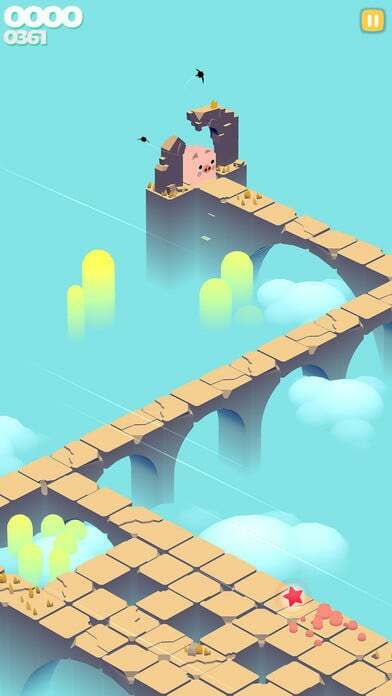 And sure enough, you’ll have to react really quick by tapping at just the right moments if you want to conquer this arcade-inspired game’s overall puzzle. 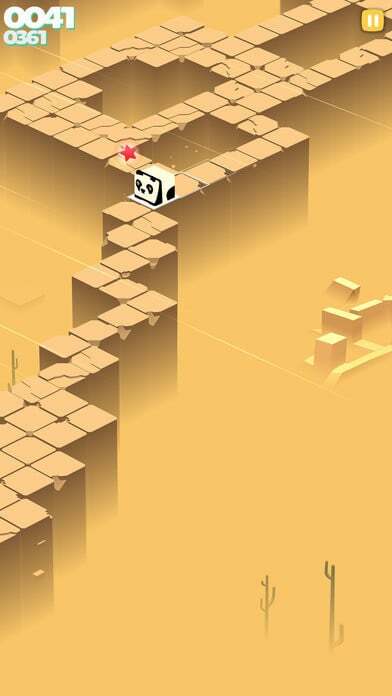 In Drop Not, you have to guide a cute cuboid character as it makes its way through the perilously twisty paths, lest it drop into the bottomless abyss below. 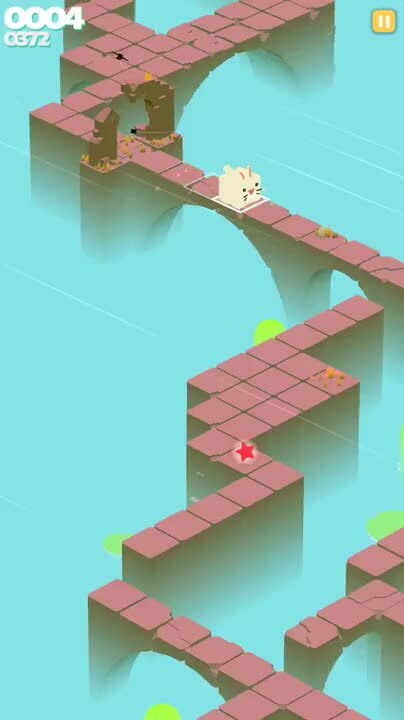 As your character continuously rolls, you need to watch where you’re going and anticipate corners, at which you need to tap to make your character turn (as in Cliff Hopper). Be sure to time your taps properly, since tapping too early or too late will result in your doing exactly what the name of the game asks you not to do. 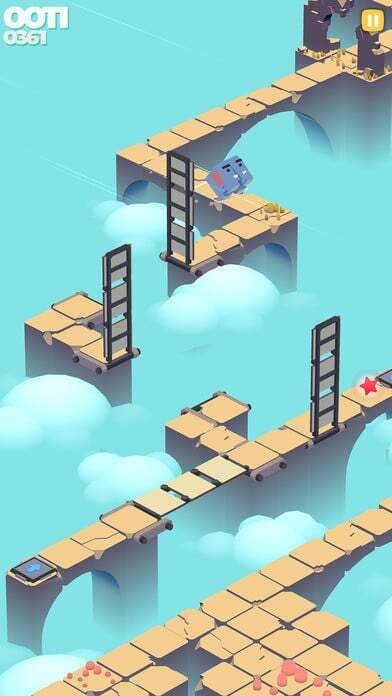 While it may seem as though it’s an endless game, Drop Not actually has levels. 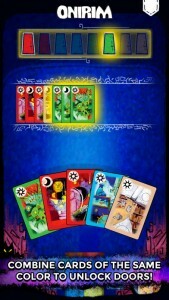 But in the game, you automatically progress onto the next level after beating the current one. And you have the choice to start at a later level rather than from the very beginning. Just bear in time that the longer you run, the greater your score, and the higher your chances of rising through the ranks on the game leaderboard. The puzzling parts of Drop Not emerge from the various obstacles and forking paths that you need to work your way around across the game’s 20 handcrafted levels. 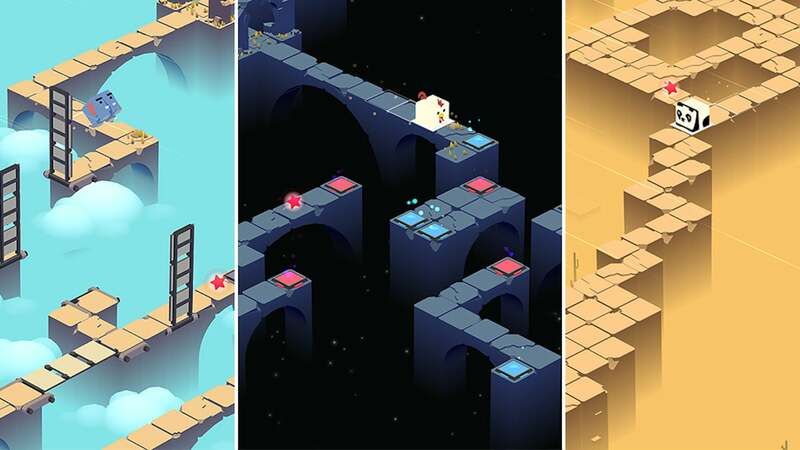 There are blocks that suddenly pop up or fall down, pads that take you in certain disorienting directions, teleports that transport you to surprise spots, and more. There are also items that you can pick up to help you along the way, such as score multipliers and speed reducers. As you play, you can earn keys for unlocking new checkpoints at which to start specific levels and for unlocking new cute cuboid characters to play with. Drop Not is a deceptively simple game. 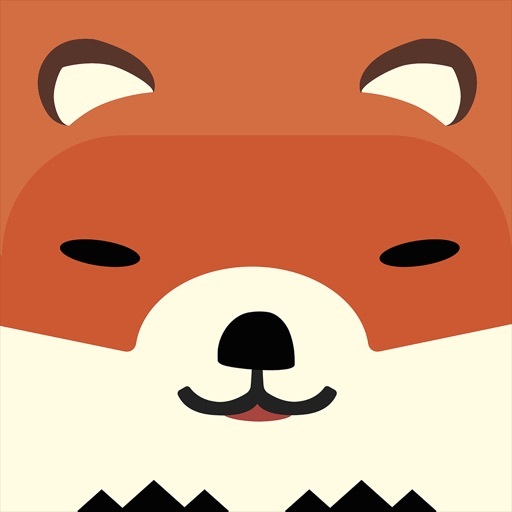 On top of that, it’s a gorgeous-looking game, with graphical themes of sky, desert, water, and night, and with an aesthetically pleasing look and feel that combines the meditative quality of Monument Valley and the adorable whimsy of Crossy Road. It also features original music that is often relaxing and at times panic-inducing. 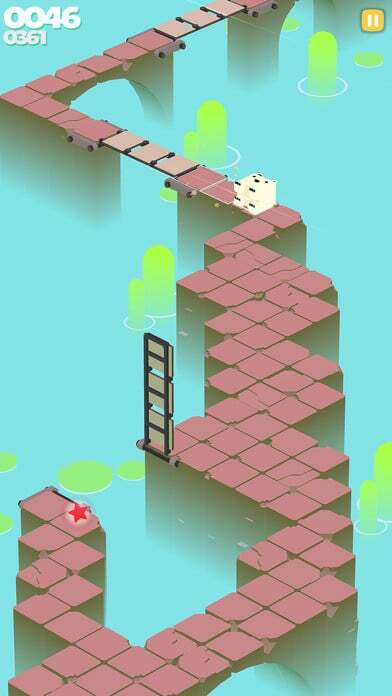 In short, Drop Not is a reaction-based arcade puzzle tapper you would want to miss not. Drop Not is available now on the App Store for free, with in-app purchases for additional keys. 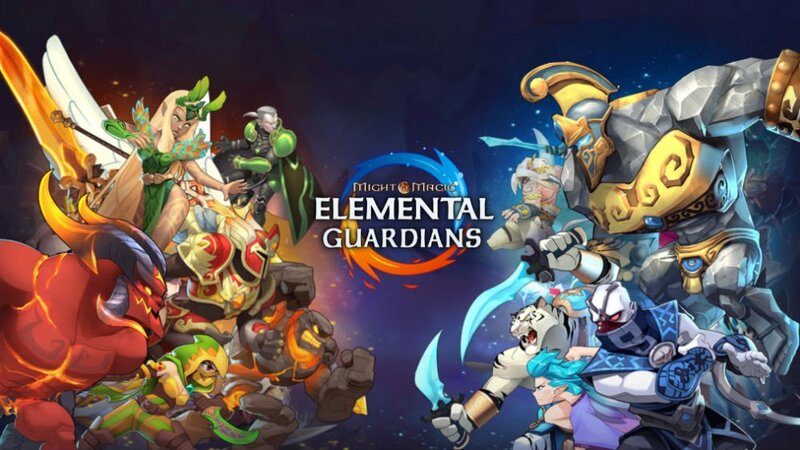 It’s compatible with iPhone, iPod touch, and iPad, and it comes with an iMessage app for sending stickers featuring the characters from the game.